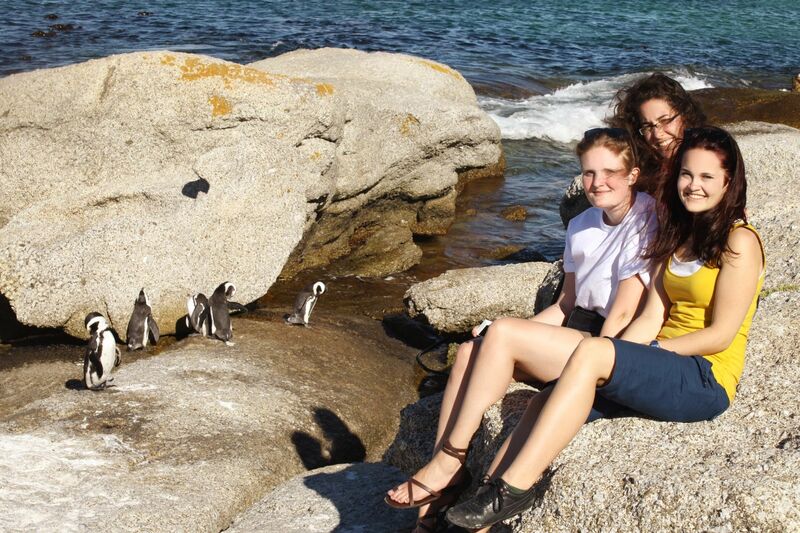 Cape Town is a truly remarkable place. As a language student, you have many opportunities to discover this beautiful city and the friendly people living here. Start a language journey and fall in love with the city and its unique culture! We have all types of courses including business courses, internship, volunteering and many more! Courses offered for different age ranges and for all levels! Students develop skills that they can immediately practise outside the classroom. Join us! To book your place on a program, the non-refundable application fee of $80 USD must be paid. Fees can be paid in USD or by credit card in any currency upon request. In the morning, you participate in the General English 20 Course (Monday to Friday). Alternatively, you can also participate in the General English 16 Course (Monday to Thursday). In the afternoon, you can add one Focus Group (5 lessons). These lessons take place either Monday and Tuesday or Wednesday and Thursday. 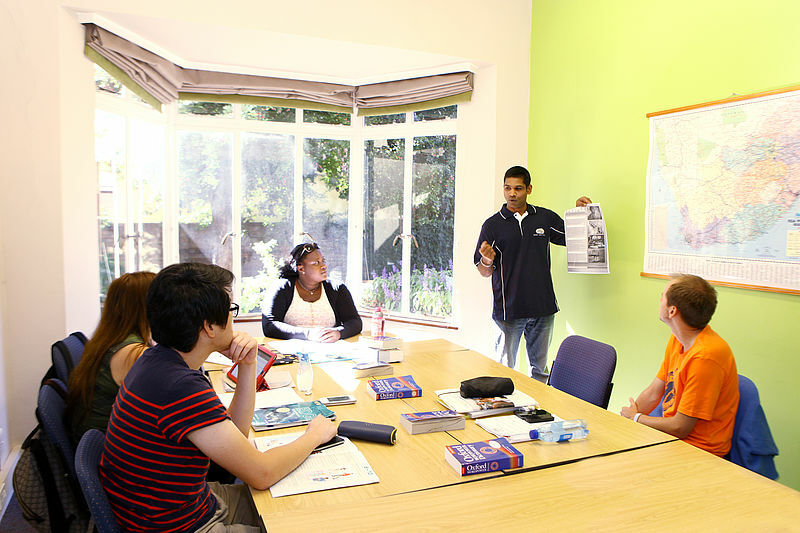 In the morning, you participate in the General English 20 Course (Monday to Friday). Alternatively, you can also participate in the General English 16 Course (Monday to Thursday). In the afternoon, you can add two Focus Groups (10 lessons). These lessons take place from Monday to Thursday. This course is ideal for students who need to use English at work or in a business context. We recommend it for people who work in an English environment and for those who are seeking an international career. An Intermediate level or above is required. Elementary and Pre-intermediate students who need English for the workplace are advised to book private lessons. Private lessons are available both halfday and full-day. If you study 24 weeks or longer, we put a study programme together based on your individual needs. An advisor will regularly meet with you to discuss your progress. Our Study Year students enjoy a number of further advantages like reduced course fees. Internships are a great way to gain insight into a work environment. They provide an opportunity for you to work in the professional field you have trained / studied in and, ideally, in which you also have work experience. 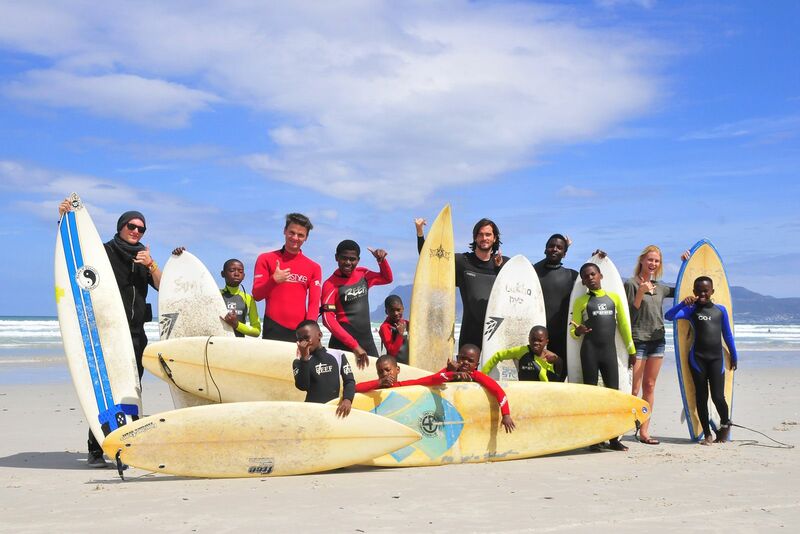 Through our sister company, we organise a comprehensive volunteer programme. We off er projects in and around Cape Town, along the Garden Route, up in the Kruger Park area as well as in other parts of South Africa and Namibia. 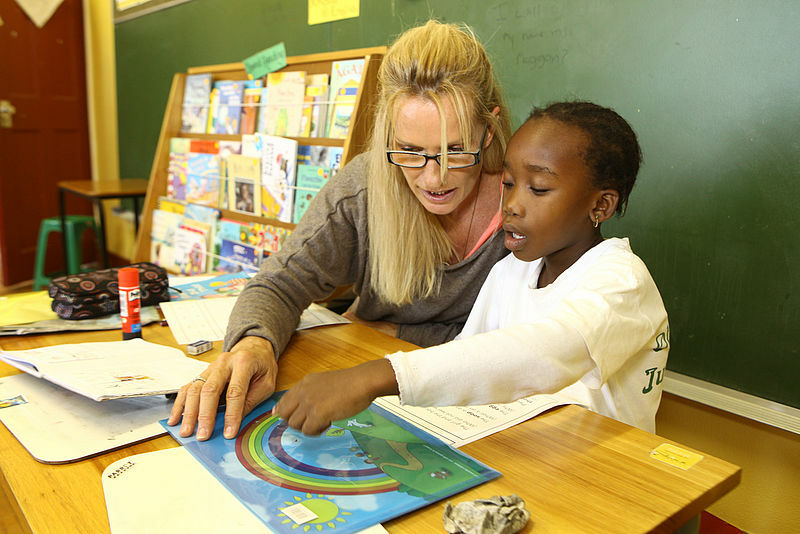 Extend your stay in South Africa and combine your language course with volunteering. 1. Social volunteering - if you love working with kids or with elderly people, this section is where you will find the perfect project for you. 2. 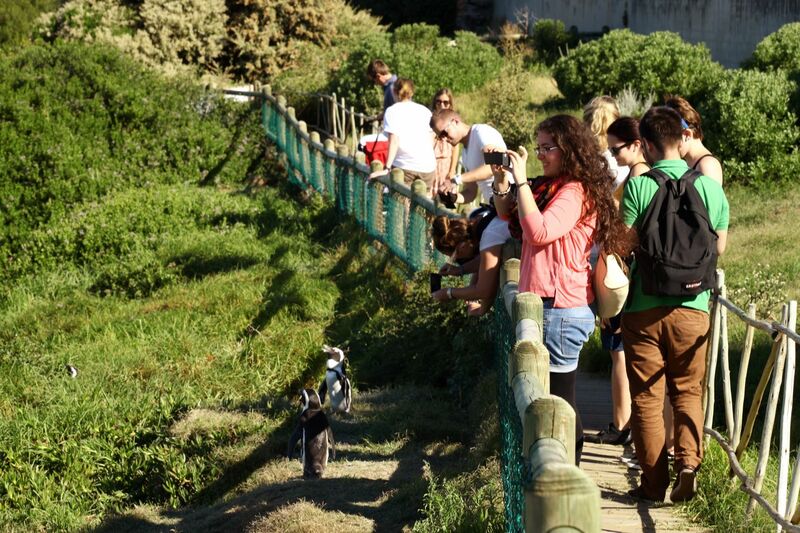 Conservation volunteering - working with wild animals and nature conservation is what you will find in this group of volunteer projects. 3. Medical volunteering - if you have experience in the medical field, then this might interest you. 4. 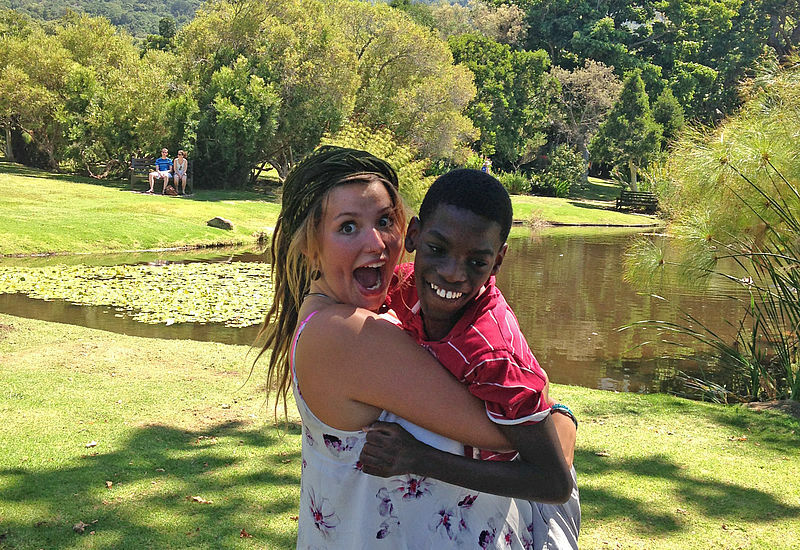 Farm stays - stay on a South African farm and learn how to grow organic food. 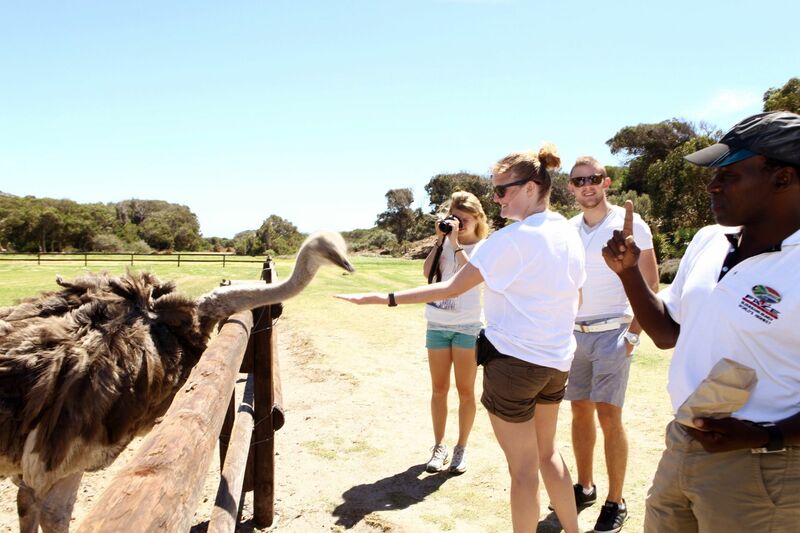 In addition, you experience South African farm life. 5. Voluntourism - in this section, we have grouped projects that allow you to learn about nature or communities, but also include lots of fun. We take your study goals seriously and support you in getting there. Our classes are highly intensive due to the small number of students in each class. And our South African teachers hold internationally recognised qualifications and are fully committed to go the extra mile for you. We offer a unique learning experience that is highly efficient, fun and affordable. 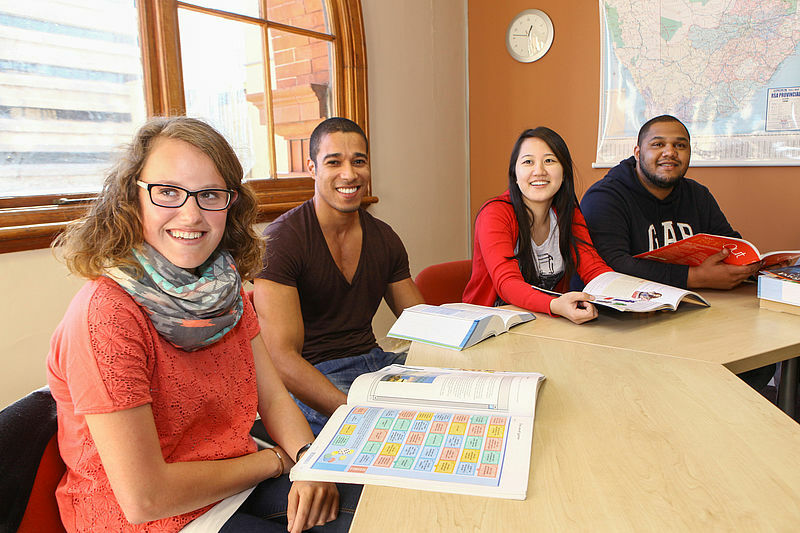 What makes our English language courses so popular? At our school, you can expect stylish premises in safe and convenient locations where you can learn English in a welcoming and quiet environment. Our classrooms are great places for study, with lots of natural light, lots of space and large desks. 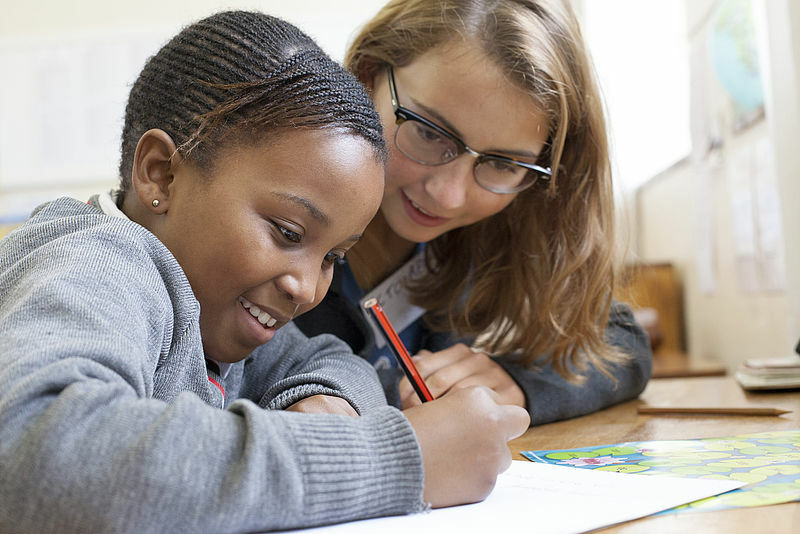 The City Centre school is located in the heart of Cape Town, in the pedestrian walkway of St George’s Mall, where students can feel the hustle and bustle of city life and enjoy the multicultural blend the city is so well known for. Shops, restaurants, banks and other amenities are all close by and the main train station is a 5-minute walk away. 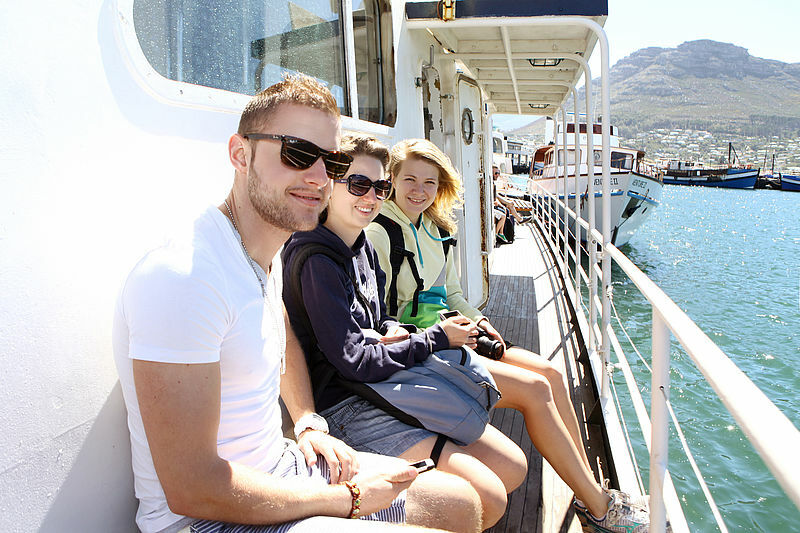 All major tourist attractions - including The Waterfront (a popular entertainment area), beaches and Table Mountain - can be reached by public transport within approximately 15 to 20 minutes. The Newlands school is located in an upmarket residential area where students can study in a quiet, relaxed environment. There are shopping centres, restaurants and banks within easy walking distance. All major tourist attractions, including popular beaches and the city centre, can be reached by Metrorail. Our biggest asset is our staff members. They are the ones who make it all happen. Our team is highly motivated and well qualified. The admin team will support you in all aspects of trip – from advice on getting visas to finding you suitable accommodation. $35 USD - accommodation placement fee (includes accommodation, meals as booked, bedding; homestay only: towels; residences only: Wifi). You will feel comfortable and relax! 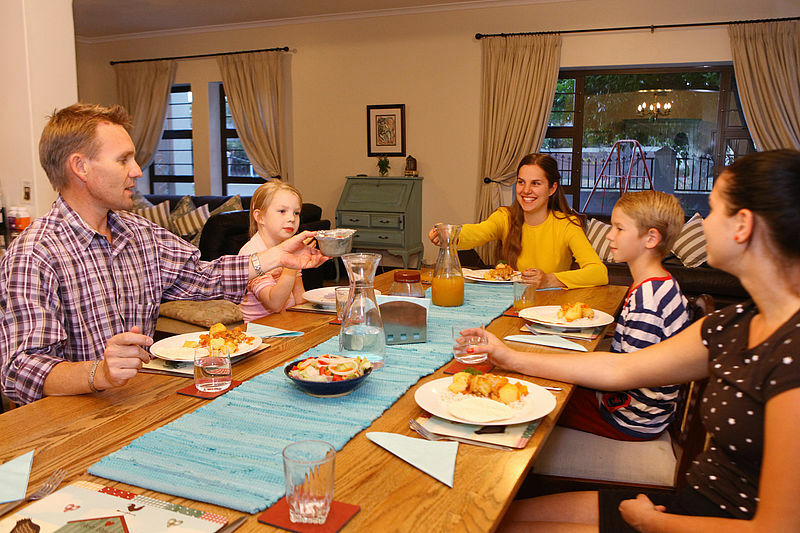 In contrast to a host family where the student is included in the daily life of the family, homeshare allows the independent student an opportunity to share a home without any obligations. 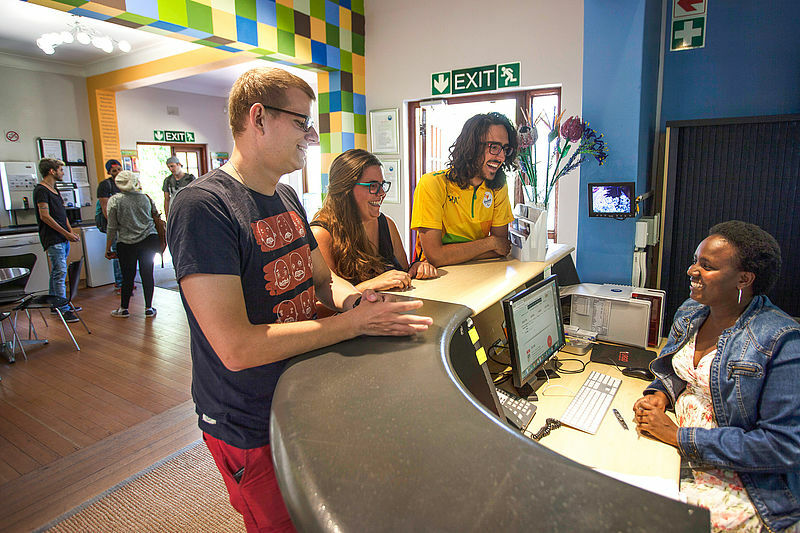 Newlands Campus accommodation is situated right next to the school in Newlands. It is an upmarket house on a large property with a garden, a swimming pool and a veranda. The campus accommodation is beautifully decorated and there is a self-catering kitchen and a large communal area. One of our staff members is permanently staying at the property and available for assistance when needed. Located in Observatory, a popular student area; very close to many pubs, restaurants & night spots. If you prefer to be independent, want to mix with other students, socialise easily and want to practise your newly acquired knowledge of English at a bar rather than with a host family, then this is for you. 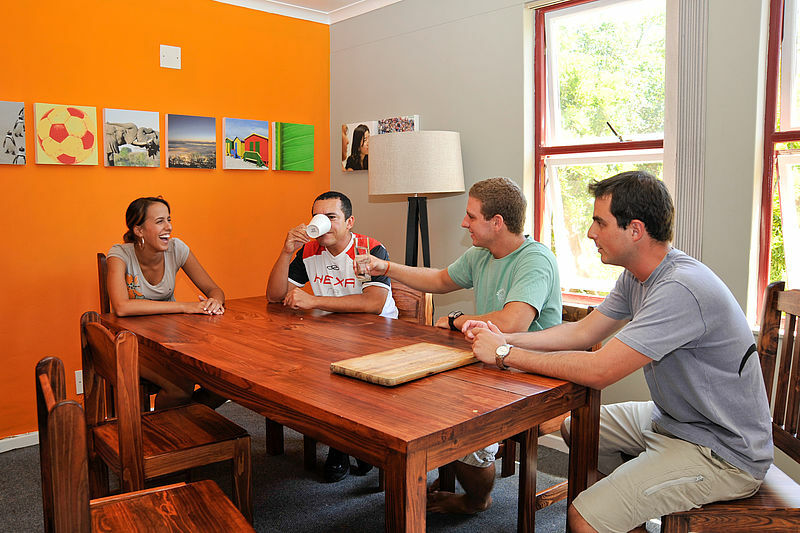 The student residence is ideal for the 17 to 25 age group. A private house with a garden and a swimming pool - ideal for long-term stays. Being the most affordable form of accommodation, it is usually the choice of our younger, long-term students. In addition there are also volunteers staying there. 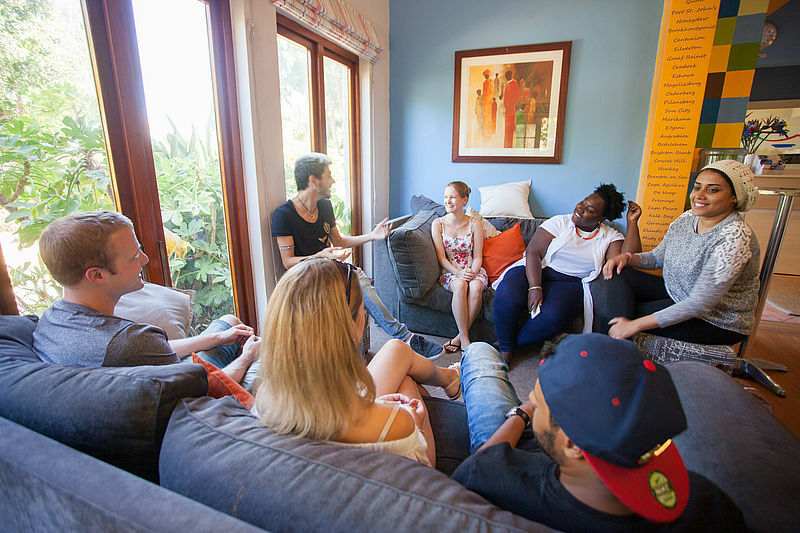 The Student House is ideal for 17 to 25 year olds. 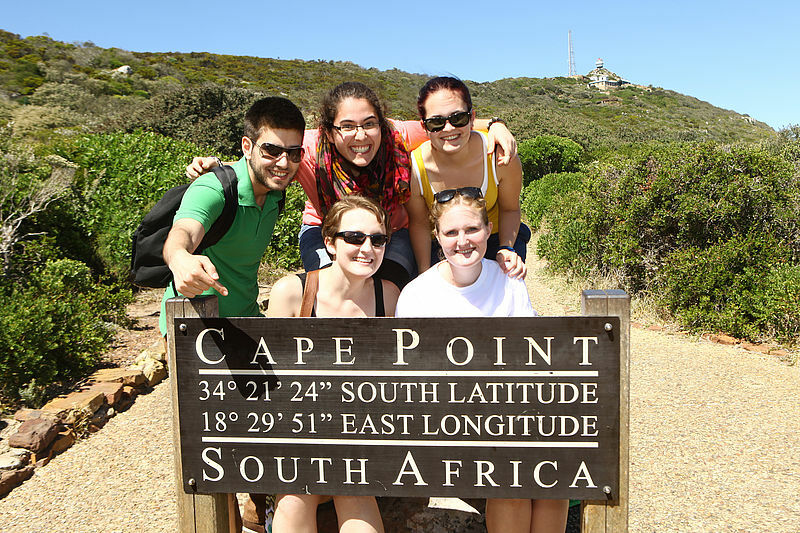 Our activity programme is an excellent opportunity to meet other students and learn more about Cape Town and its surroundings. Our Social Club organises a number of activities per week. You will be given the schedule upon registration and you can book your favourite activities online. 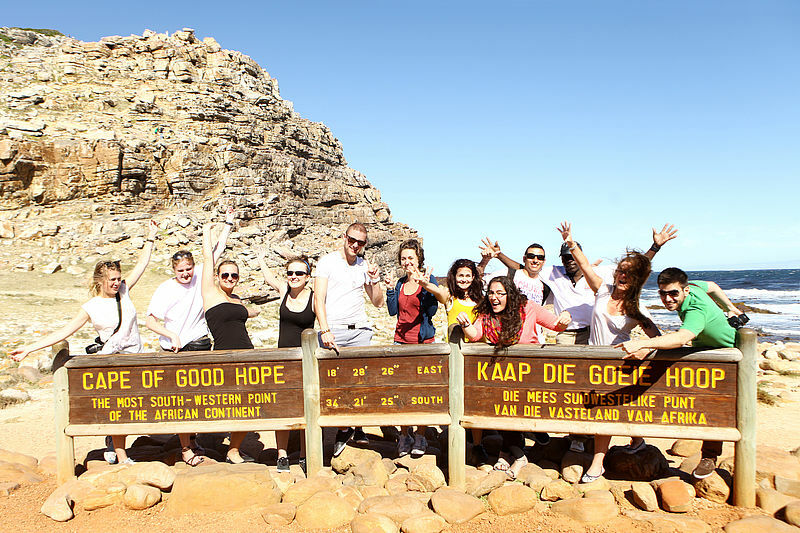 The activities are a great way to visit all the must-see places in Cape Town and surroundings. Our social club is also a great place to get to know your fellow students socially. Most importantly, however, it is a great opportunity to practice your newly-acquired language skills. Keep your eyes open. You will find many more things to make your trip special!